The mature fruit is edible, the oil, as well as the obtained in the avocado seed crushed is used in cosmetics for its emollient properties. The unsaponifiable fraction has a connective tissue regenerative effect. Useful in dry skin, skin aging, ichthyosis, psoriasis, dry eczemas, kraurosis by dryness or vulvar-vaginal mucosa dystrophy. Also used in paradontopathy, rheumatoid arthritis, diffuse scleroderma. 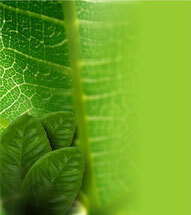 The avocado tree leaves are used as anti-inflammatory, antidiarrheal, astringent (healing), antiseptic and vermifuge. The rind of the fruit (pericarp), as antidiarrheal. The pulp of the avocado has the property of hasten suppuration in wounds infected when it is applied directly to the affected part. It is known as an aphrodisiac and emmenagogue (accentuates menstruation). The brew of the fruit rind or pericarp is used to expel intestinal parasites. Avocado seeds ground and mixed with cheese and wheat flour are used as rat poison. The powdered seed applied directly on the skin serves as rubefacient. A brew of the leaves, shoots and peel have been used as expectorant, stomachic (which tones the stomach), emmenagogue, resolvent (dissipates tumors). The avocado pulp contains large amounts of easily extractable oil, just put it to the action of the sun for a while and you get a greenish yellow oil containing chlorophyll, alurina, gums and sugars uncrystallizable. 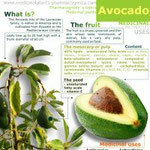 Avocado seed contains starch and gallic acid. The leaves and shoots are rich in tannins and are used in some enteritis. Avocado oil is good for hair strength and shine, avoiding dropping and favouring hair growth (because of these properties can be found on the market cosmetic products such as shampoo of avocado). It is also reported as cholagogue in obstruction of the liver and kidneys. The leaves and small tree avocado branches introduced in boiling water can be useful to combat uric acid and prevent gout. There is a report in the Hacienda Magazine in 1944 that refers to leaves as poisonous to livestock as well as the fruit, leaves and bark to the sheep, goats and rabbits. In sheep stops the flow of milk and the excessive ingestion causes animal's death. A brew of the leaves of the avocado tree has an abortion-inducing effect and is useful to relieve cough. Avocado consumption as food or medicine may decrease the effect of warfarin-type anticoagulants. Is recommended to take with caution the dosage forms based on the leaves, due to the content of estragole that has some degree of toxicity. REMEMBER to always consult your doctor before combining natural products with any other treatment. summary characteristics and properties of Avocado. Avocado health benefits. Medicinal uses of avocado. Major therapeutic uses. Properties, indications and precautions.